Don’t let hair loss get worse. 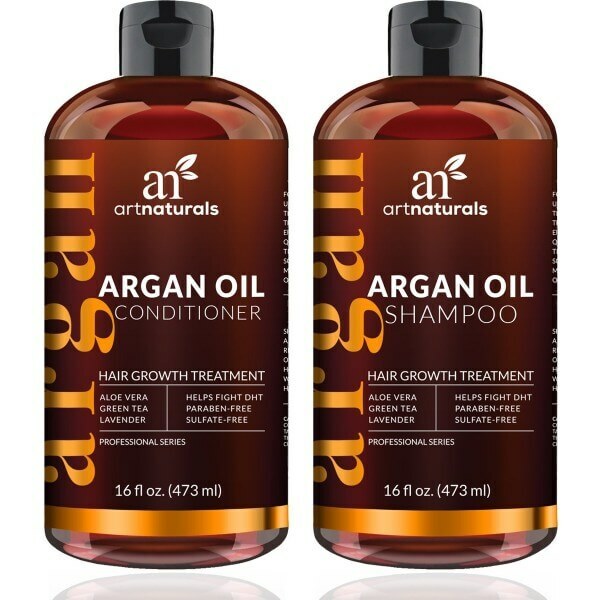 Use Art Naturals Moroccan Argan Oil Hair Loss Shampoo & Conditioner Set to grow healthier and stronger hair. The formulas of these natural hair care products restore hair shine and softness. They nourish the hair and scalp as well. 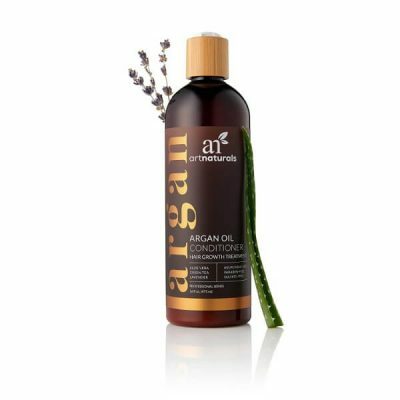 The shampoo and conditioner are infused with argan oil and other nourishing extracts that improve hair health. Thinning hair and hair loss are common hair concerns for men and women. Various factors trigger these hair conditions. Using the wrong product can damage the strands, making them brittle and prone to breakage. Lack of nourishment to scalp weakens hair follicles, which leads to hair loss. 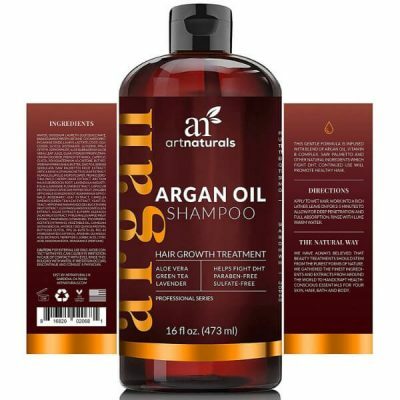 Art Naturals Moroccan Argan Oil Hair Loss Shampoo & Conditioner Set nourishes scalp to ensure that hair grows strong and healthy. 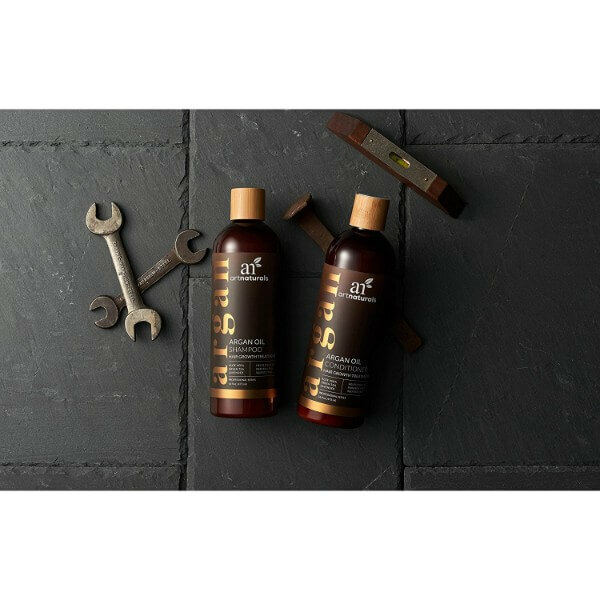 Both products contain nourishing ingredients aside from argan oil. These ingredients provide therapeutic effects that prevent hair loss. They include aloe vera leaf juice, green tea extract, and lavender extract. These extracts are rich in antioxidants and nutrients that promote healthy hair growth. The formula of shampoo and conditioner also has vitamin B complex that helps prevent DHT from causing hair loss. 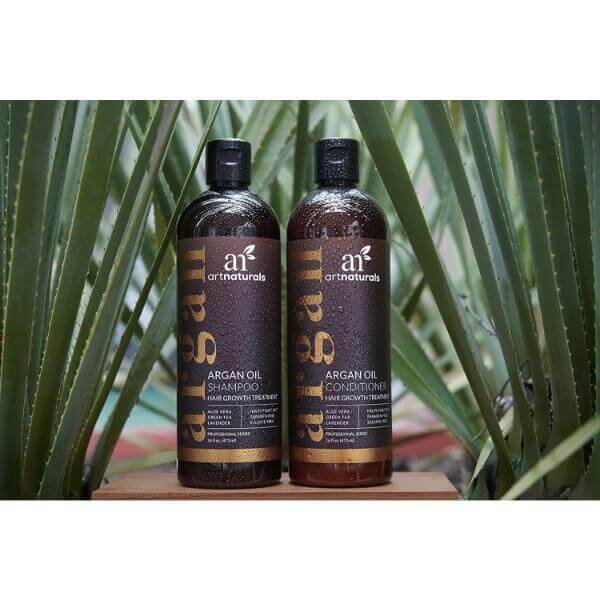 Art Naturals Moroccan Argan Oil shampoo and conditioner have formulas that help hair recover from damage. 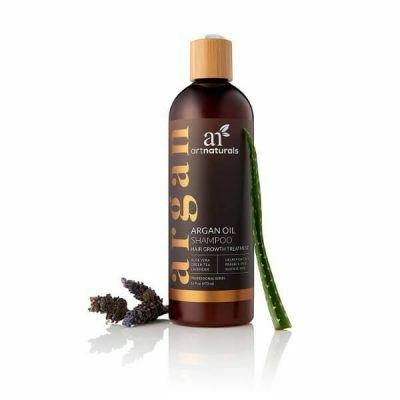 With the gentle formula of shampoo, it cleanses scalp without causing dryness. It provides nutrients that stimulate follicles to grow strong strands that can withstand damage. 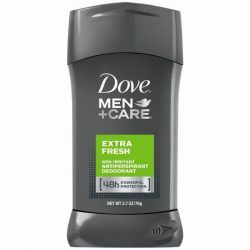 The conditioner seals in moisture to keep hair soft and manageable all day long. Hair gets easier to handle and style without causing damage. This set of hair products prevents frizziness and flyaways. Argan oil in shampoo and conditioner brings high levels of antioxidants to protect hair from damage caused by styling heat or UV rays. Using this set of hair products leaves hair feeling smooth to the touch. Art Naturals Moroccan Argan Oil set of shampoo and conditioner does not contain sulfate and paraben. These formulas contain Argan oil. 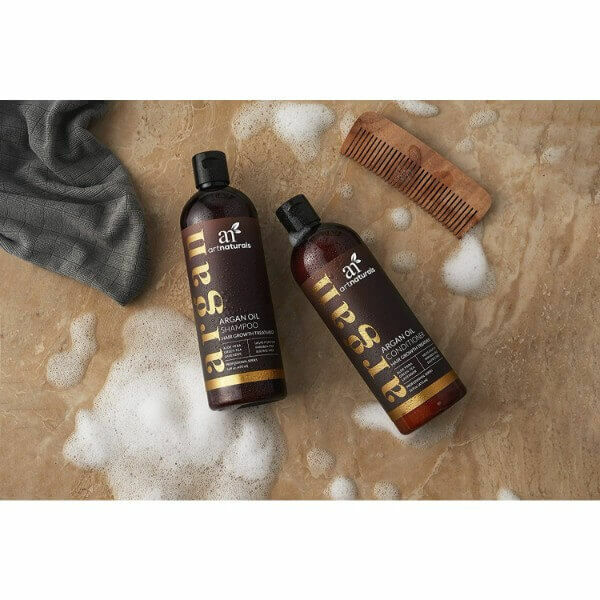 Both the shampoo and conditioner is gentle for all hair types. This set of hair products protects hair from damage. Stimulates hair follicles to grow healthy hair. Art Naturals did not use sulfate and paraben in creating the shampoo and conditioner. 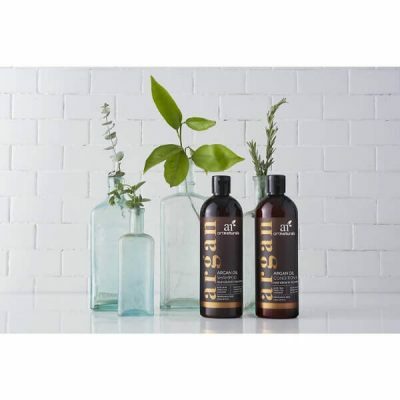 Both shampoo and conditioner contains nourishing extracts. 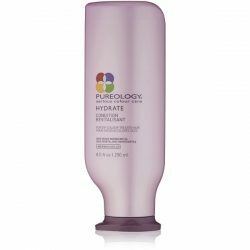 Shampoo cleanses hair effectively without causing dryness and damage. 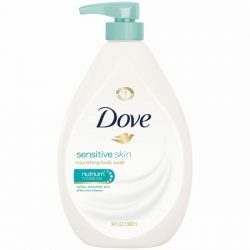 Conditioner seals in the moisture to hair strands, making it softer to touch. Contains vitamin B complex, which fights DHT to prevent hair loss. Wet hair and scalp thoroughly. Apply a dime-sized amount of shampoo to scalp. Massage on scalp and hair. Rinse with lukewarm water. Use enough conditioner to cover the tips of hair to the midlengths. Wash off using lukewarm water. Use daily to get great results. Water, Disodium Laureth Sulfosuccinate, Babbassuamidopropylbetaine, Cocamidopropylamine Oxide, Lauryl Lactate, Coco-Glucoside, Glycol Distereate, Glycerin, PPG-5 Ceteth-10 Phosphate, Aloe Barbadensis (Aloe Vera) Leaf Juice, Guar Hydroxypropultrimonium Chloride, Phenoxyethanol, Caprylyl Glycol, Polyquaternium-10, Caffeine, Butyrospermum Parkii (Shea) Butter, Zinc PCA, Sereno Serrulata (Saw Palmetto) Fruit Extract, Urticadioica (Stinging Nettle) Leaf Extract, Humuluslupulus (Hops) Flower, Prunus Serotina (Wild Cherry) Bark Extract, Arctium Majus (Burdock) Root, Lavendula Angustifolia (Lavender) Flower Extract, Capsicum Frutescens (Capsicum) Pepper Fruit, Zingiber Officinale (Ginger) Root, Rosmarinus Officinalis (Rosemary) Leaf Extract, Camellia Sinensis (Green Tea) Leaf Extract, Yeast Extract, Hippophae Rhamnoides (Sea Buckthorn) Fruit Extract, Ilex Paraguariensis (Mate) Leaf Extract, Algae Extract, Euterpe Oleracea (Acai) Fruit Extract, Pyrus Malus (Apply) Fruit Extract, Panthenol (Vitamin B5), Tocopheryl Acetate (Vitamin E) Vegetable Oil, Camelina Sativa Seed Oil, Hydrolized Quinoa Protein, Butulene Glucol, PPG-26-Buteth-26, PEG-40 Hydrogenated Castor Oil, Apigenin, Oleanolic Acid, Biotinoyl Tripeptide-2, Sorbic Acid, Citric Acid, Disodium EDTA, Fragrabce (Perfume).